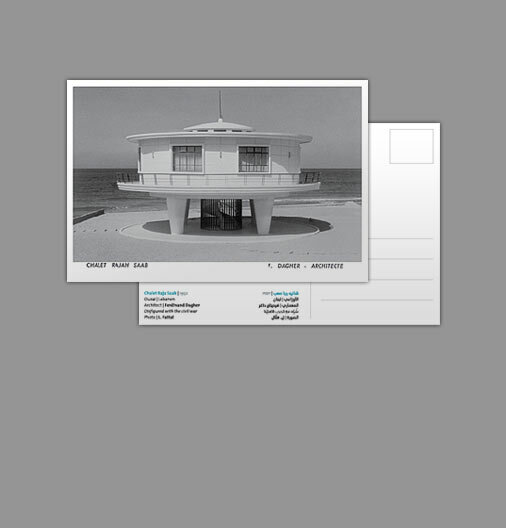 Founded in 2008 in Beirut, the Arab Center for Architecture (Association for the preservation and dissemination of modern Arab built heritage) is a non-profit organization addressing modern urban design, architecture, design, and planning in the Arab world. 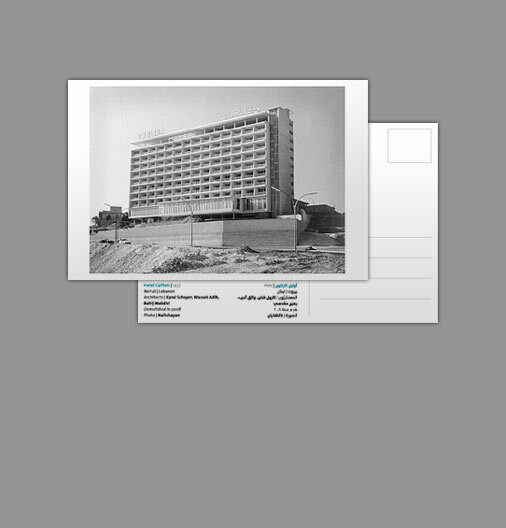 By gathering, sorting, and making its resources available to the public and the research community, ACA is aiming to serve as a platform for diffusing documentation and information about architecture and the urban environment in the Arab World. 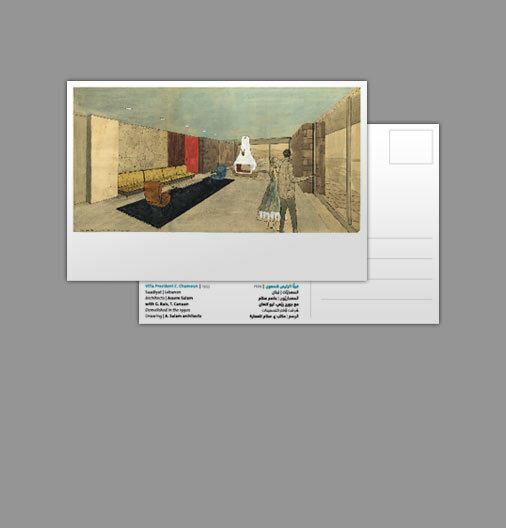 This set of postcards from architecture archives was produced for the exhibition Modern Design and Architecture in the Arab World: the Beginnings of a Project, held in Beirut at Villa Salem (Otium) in May 2013. 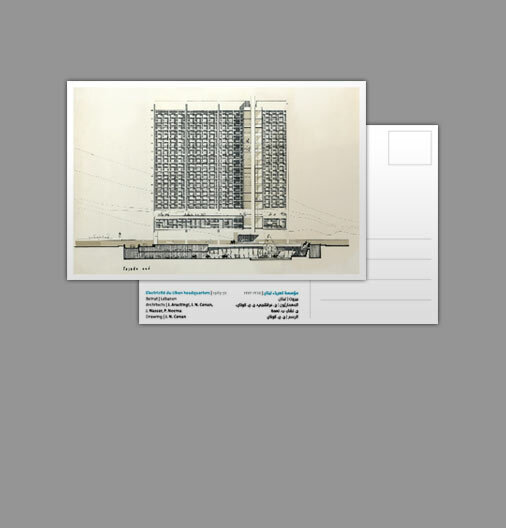 Postcards are available at the ACA. By developing a wide range of activities, the ACA aims to build on the growing sense of awareness towards the built environment. It seeks to shed light on modern architecture, urban and landscape design, targeting the recognition of modern heritage. 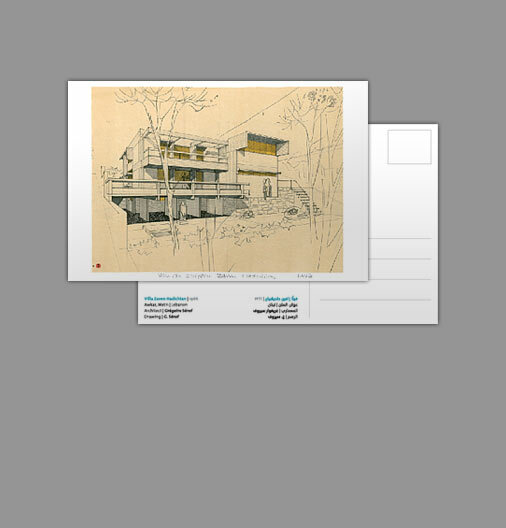 Architecture archives document Architecture, its history, its practice, its practitioners; they constitute a wealth of information. 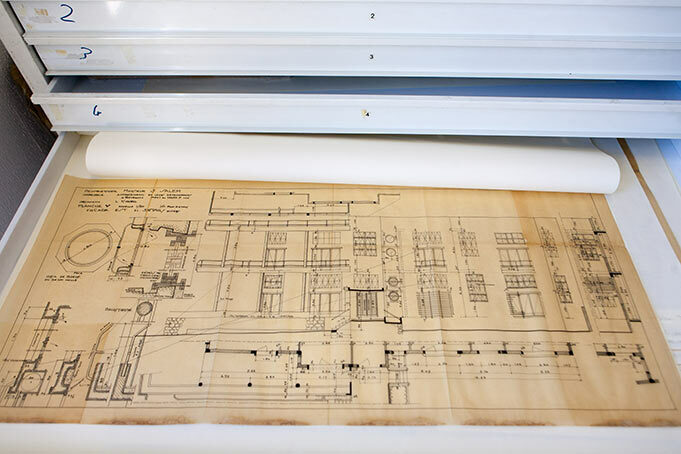 ACA’s main mission is to collect, preserve, diffuse and make architecture archives accessible to the research community and to the interested public. 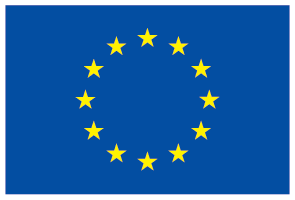 This website has been funded by the European Union. The contents of this website are the sole responsibility of ACA and can in no way be taken to reflect the views of the European Union.